Will. I .Am, Cedric Gervais & Howard Jones, Armin van Buuren & Trevor Guthrie, Miss Autumn Leaves, Ummet Ozcan & DJ Ghost and more. 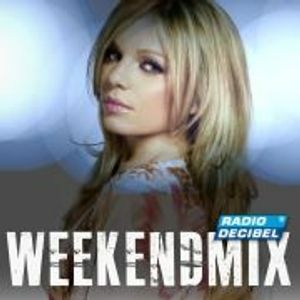 The Radio Decibel Weekend Mix by Dj Selwyn Donia in the Netherlands is an extraordinary radio podcast delivered every weekend to music fans all over the world. Selwyn is a true pioneer in helping those involved in the Music industry in getting the exposure they truly deserve. He is a true warrior and supporter of Trigga Entertainment featuring Artists like YOVANNI, Miss Autumn Leaves, Havana, L & O V Naif featuring Valentine & Lisa, etc. Listen now and support Trigga Entertainment & Radio Decibel.